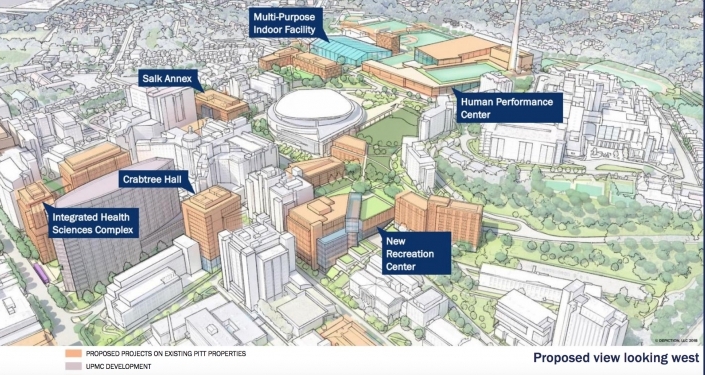 The 30-year proposal contains new housing, new rec and athletic facilities and a science/medical corridor. Diversity in faculty, staff and students will be one of her top issues. Week-long hearings will continue through Friday at the Hilton Garden Inn. New Heart and Transplant Hospital will dramatically change the Oakland skyline. State Department official Sastry will start in new position on Oct. 22. Pitt–Greensburg professor's Community Arts Reintegration Project takes shape in Mt. Pleasant. A survey of groups made up of faculty, staff and students helped shape new guidelines. Dean Blee wants to focus on improving students’ undergraduate experience. Password management software, Salesforce and wireless updates among topics discussed. Some worry previously signed documents will cause problems in the future. If approved, the funding would follow a 2.8 percent increase in this budget year. The celebration kicks off Oct. 13 with events at the Cathedral of Learning.